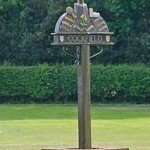 Cockfield – this list will be used to communicate information that is considered relevant to the Cockfield community on matters related to the Parish Council, Community Council, Police Connect messages and other topics of interest. You can unsubscribe by following the Unsubscribe link at the foot of any of the email broadcasts you receive. You need to check the ‘ I’m not a robot ‘ box to help avoid spam and misuse of your email address. This standard Google system is designed to prevent spammers’ computers being used automatically to retrieve email addresses and then use them for spam emails. It is a straightforward step but in some cases you may be asked to match some simple images. Once you have clicked the Subscribe button below, you will receive an email to the address you used asking you to follow a link to a webpage confirm your subscription. To modify your subscription, simply submit your information for the email address with which you originally subscribed. On the webpage you will see a message to that effect, and a link to receive an email where you will be able to review and modify your profile, including the lists to which you are currently subscribed. So for example you can add or remove your name from a list, or you can unsubscribe altogether. You can also unsubscribe by following the link in the footer of any of the Cockfield emails you receive. Your email address will be used only for the stated purpose. It will not be divulged to third parties.